Tuesday night I made a cake to take to work on Wednesday to celebrate someone’s Birthday. The store did not have the kind of pudding I was looking for, so I could not make the cake I was setting out to make. Which means I had to improvise, I bought a chocolate cake mix, two boxes of butterscotch pudding, one container of extra creamy whip cream, and a bag of chocolate chips. What I ended up with was a Chocolate Butterscotch Poke Cake, and they loved it! A few people told me it was one of the best cakes I ever made. 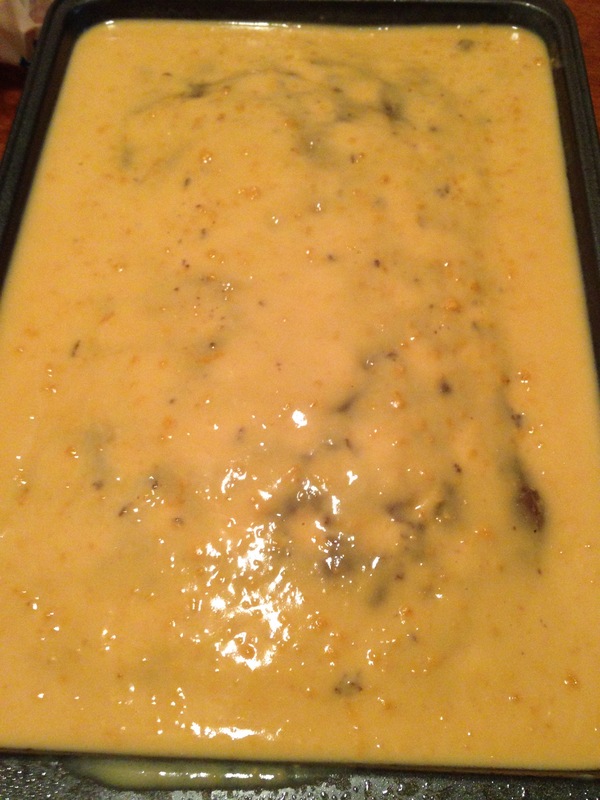 3) I mixed the two boxes of butterscotch pudding with 4 cups milk and then poured over the cake. 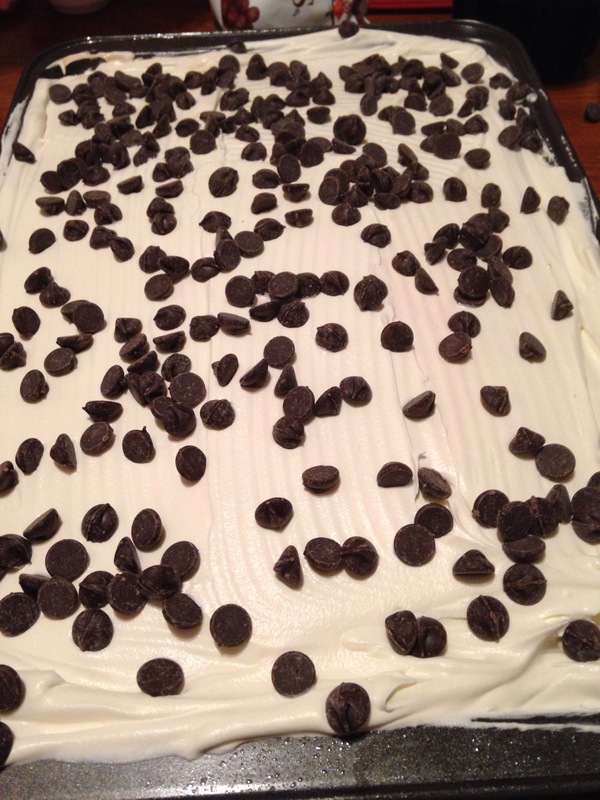 6) Then I sprinkled about half of the bag of chocolate chips on top of the cake. When talking to a younger male co-worker earlier today I may have mentioned something about my blog and the look and reaction I got to that was priceless. He was truly surprised that I blog. I don’t know why that is, I’m not that much older than him. His surprised reaction really made my day today. Wonder how many more people I would shock if they found out I blog? Here are 2 Something New’s since I’m a little behind. 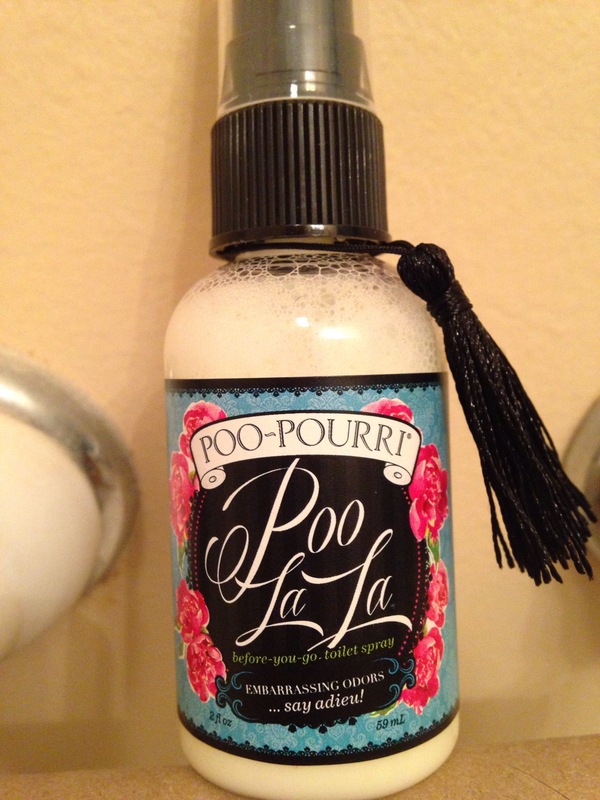 2) Poo-Pourri: I know this sounds wrong on so many levels. 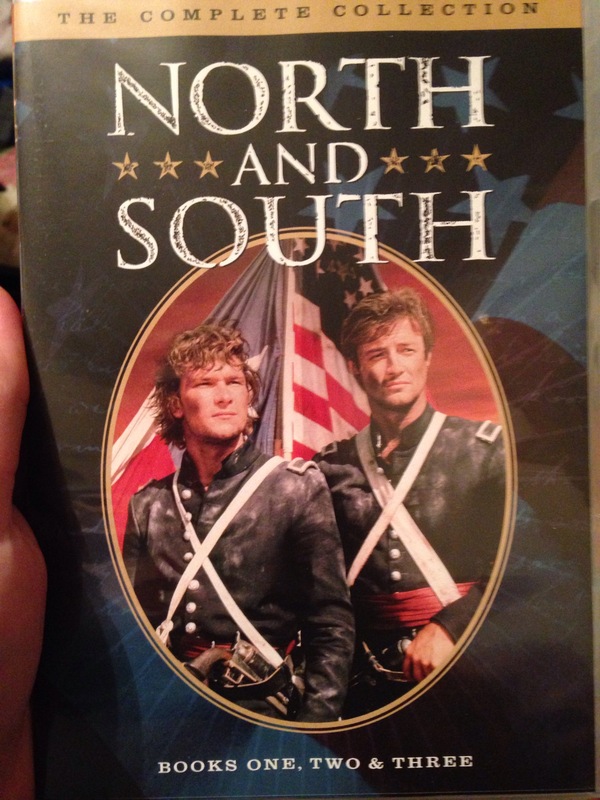 The gift shop at my work is selling this right now. So this became a hot bed topic around the office. So I had to try one. That's right one, there are at least 20 different scents of this poo-pourri. The idea is you spray this in the toilet before you go #2 and it will help with the smell. Well I have to say it works better than I thought it would. And it does smell really good when you spray it. It’s that time of year again. Time for Secret Santa! At work we do four weeks of Secret Santa so next week is week one for us. It’s always fun three small gifts from a mystery person and then one bigger gift and the big reveal of who had your time the final week. 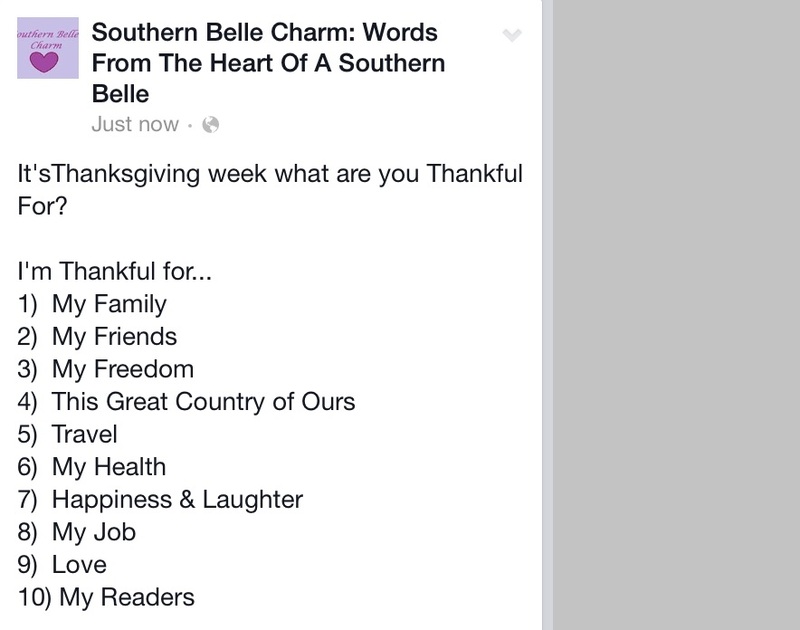 We have so much fun with this each year. I can’t wait to see what my first gift is.